I decided I wanted to interview Warwick Baker after seeing his self portrait, ‘Mongolo River,’ in the 2009 National Youth Self Portrait Prize. I don’t know exactly what it was about this image, but I felt compelled to understand more about this character. I caught Warwick, quite a discerning individual, for a brief chat about his obsession with Belanglo State Forrest. Tristan Ceddia: Where did you grow up? Warwick Baker: I grew up in Canberra and went to public schools in the Belconnen area. TC: Do you remember your first encounter with photography? WB: I have always been surrounded with photography. My dad is a landscape photographer and I used to travel around with him, camping in a early ’70s Kombi Van. When I was a kid I really hated photography. I had a really short attention span so, for something as instantaneous as photography, I didn’t understand why it took so long to take a photo. My dad would often take hours setting up and then taking one photograph. TC: What was the first photo you ever took? WB: When I was maybe around 10, I got handed down from my two older sisters a Kodak Instamatic camera. One of the first photos I can remember taking was a photo of burning sugarcane in northern New South Wales or Queensland. I remember my dad cutting me some sugarcane and I chewed on it for a couple of days. I still really love the photo. I didn’t really enjoy or understand taking photos then, I just did it because I had a camera. TC: You love photography now thought right? How long does it generally take you to take a photo? WB: I really love taking photos now, I love exploring places to photograph. As part of my new work, the environment and place I photograph involves a lot of prior research so when I finally get to the places I have researched I have a background of its past history and how to confront that. I don’t explore and photograph the environment in a voyeuristic manner. I use medium and large format film cameras for my work. 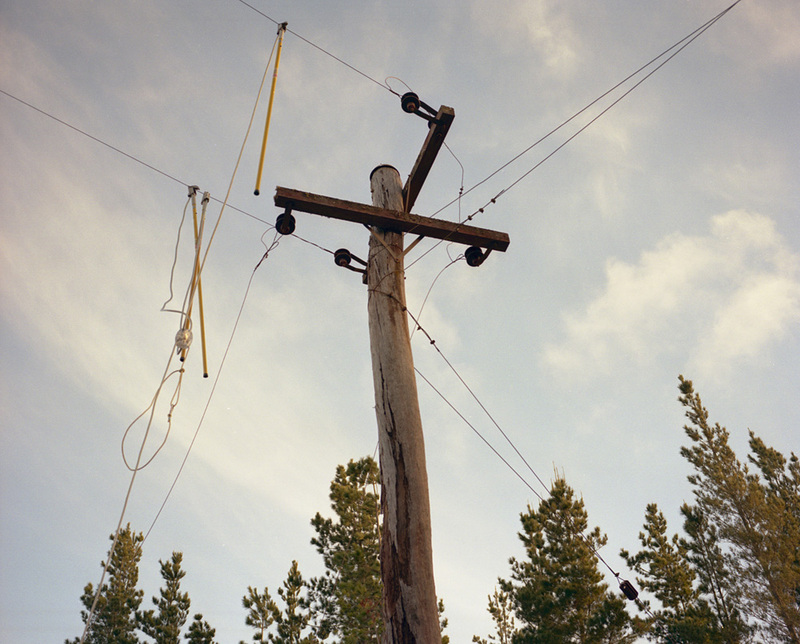 I like to be spontaneous with the medium format camera and mostly hand-hold. I like to show a sense of urgency and movement. The large 8×10″ film camera is very time consuming and cumbersome. It produces incredible detail and depth but it can take anywhere between a quarter of an hour to three hours to complete a photograph. The photographer Richard Misrach, one of my favourite photographers, is so amazing at making his photographs still look spontaneous and almost snap shot-like, and his pictures are made on a large format camera. TC: As well as art photography, you also work commercially as a photographer shooting record covers and portraits. Does your process differ between commercial and self-motivated work? WB: My commercial work differs a lot. There is a lot of work I do that I don’t put on my website. It’s shot and then edited the same day, then the files are sent off. I really like doing that as far as work goes, because it is so far removed from my own work and I don’t have to think. Since I got an Arts Victoria grant I can be selective with commercial work, like band photos, because the process is so drawn out and it is really draining constantly having to think of new concepts, sourcing props, getting the band or record label to choose the photos. It really takes a lot of time and energy away from my own work. With commercial work, at the end of the day, you are just making work to please someone else so there will always be an element of compromise. Right now is the first time I have ever been able to solely dedicate a few months’ full time in developing my new work for my project Australian Badlands. I am really motivated and excited by the pressure to create something by the end of the year. TC: You must feel much freer not having to rely as much on commercial work. Can you tell me a little bit about your photos of the Belanglo State Forrest? WB: It’s great to have some temporary time off. My new work involves a lot of travel around Australia and Australia is a very big place. In the past I have only been able to take a week or two off max. Travelling by car in Australia for two weeks could get you from Melbourne to Perth and back with a couple of rest days and that’s about it. I need the time to stay in places for a long time, not just get out of the car, take a piss, take a photo and keep driving. 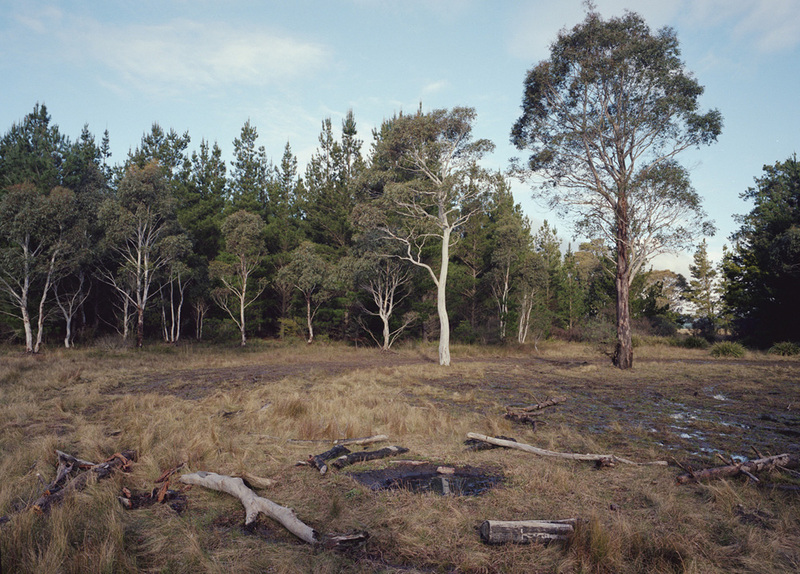 The Belanglo State Forest photos are a part of my projectAustralian Badlands. A couple of years ago, I wanted to photograph and explore places in Australia that had a tainted history and environments that still hold a dark presence. I was at my mate from footy, Beno’s, birthday (your friend who was featured in the last issue) and I was speaking to his mate about the project. He recommend a book by Ross Gibson, Seven Versions of An Australian Badland and I bought a copy the next week and I was blown away. It was written about a stretch of the Bruce Highway in Queensland that has endured massacres, land grabs, environmental destruction, floods, cyclones, murders and numerous fatal car accidents. That book has become a big inspiration for the project. Belanglo State Forest has been a good starting point for Badlands because I remember, when I was a kid, being in the car on the Hume [Highway] from Canberra to Sydney, driving past the exit to Belanglo and just feeling so scared yet having a morbid fascination. This year was the first time I actually visited the forest. I was by myself, late in the afternoon. Although it is used as a pine plantation, trail bike riding and four wheel drive clubs, I couldn’t erase from my mind the seven backpacker murders, the body found last year by trail bike riders and the kid who was axed to death by a relative of Ivan Milat’s. The forest has witnessed so much trauma. TC: Does the forest set a mood? Is it an eerie place? WB: When you enter the forest off the Hume, you hit a dirt road. Eucalyptus trees line the edges of the road next to sparse properties, then you hit the entrance to Belanglo State Forest where a sign reads ‘Welcome To Belanglo State Forest Please Be Careful’. The start of the forest was silent and still. The trees are very close to the road, which is very claustrophobic. It was like driving in the city but the buildings are dense tall pine trees. I only drove in a few kilometres. I parked my car in a clearing and walked around and took some photos. I only lasted there no more than an hour. The shadows were dark and cold – I felt a menace in the place. I went back a second time with friends of mine from Canberra who now live in the Blue Mountains, and we met my friend’s brother and his family for a picnic and bush walk in Belanglo. I thought it was a strange idea but it was really nice. We got there around midday, had a picnic at the rest area and then did some bush walking along the fire trails and then by the end of the day visited the backpacker memorial. I went off and walked down some small tracks into the natural forest of Belanglo and photographed abandoned camp sites, charred trees and dense bush. The forest does have an eerie sadness to it. I have become really drawn to Belanglo and I want to keep returning. It is such a big forest and I only feel like I have scratched the surface as far as immersing myself in the place, and photographically. TC: What are your plans for this series? WB: I will be using a couple of photos from Belanglo for the Australian Badlands exhibition that will be at Lindberg Galleries in Melbourne in February next year. I have been discussing with Dan Rule and Justine Ellis, of ERM books and Perimeter Books, the idea of developing the photos into a book. The photos will work well in a book format because, realistically, I will probably only have two or three photos in the exhibition of Belanglo and I think the place merits to be explained over 30 photos because of the vastness of the forest. TC: You have a shows in Perth and Melbourne next month, as well as a solo show next February. Are the Belanglo photos for your solo show? 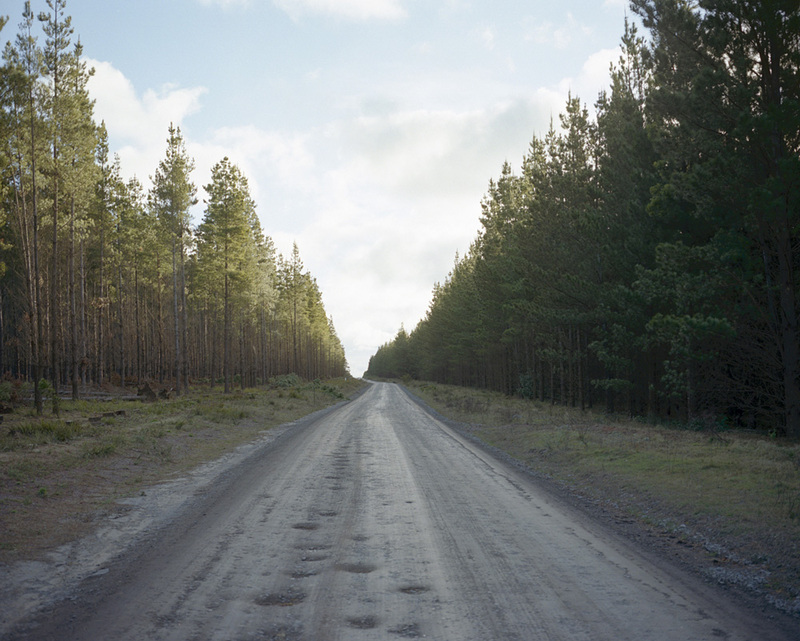 WB: I have a group show in Perth from the 4th of August to the 28th of August at the Perth Centre for Photography. The group show is ‘Charmwood’ and it was shown in Melbourne last year. I am in a group show later this month from the 31st of August to the 8th of September at c3 in Abbotsford, Melbourne – two photos that I think work really well individually, but not necessarily in a series. Australian Badlands will be my solo show at Lindberg Galleries in Melbourne from the 17th of February to the 2nd of March, 2012. It is very daunting now to have a date locked in for a project that I have been working on for a couple of years. I have so much ground to cover between now and the end of the year. I think having photographic works with a country in the title involves a lot of responsibility. The series feels like a 2000 piece jigsaw puzzle and it’s only now vaguely starting to look like something. I have a scrap book visual diary that I stick 6×4″ work prints in and contact sheets as a editing process and the Belanglo photos are probably the only pictures indicative of how I want to approach Australian Badlands, so I still have a long way to go. TC: A long way in terms of other Badlands locations that you want to shoot? WB: Australia has so many stains on its past that have not been properly addressed and confronted. It will be very difficult to find an end point to this body of work because it could be an endless pursuit. I am just going to keep researching and photographing places till I feel like the body of work is concise. Murder isn’t the only focus of the series. I also want to photograph places that have endured environmental destruction, that have displaced people and resulted in terminal illnesses from asbestos mining to nuclear weapon testing. I also want the series to have a mysterious Australian narrative running through the photos to evoke how harsh and unforgiving the Australian landscape can be. TC: Have you seen Andrew Cowen’s photographic series Adelaide 1966 – 1999 He documented a number of suburban locations around Adelaide where murders took place. What do you think makes crime appealing in an artistic sense? WB: I really like Andrew Cowen’s Adelaide 1966-1999 works. I first saw them a couple of years ago and then again recently in the new Hijacked photo book. I like how contained and concise the photos are to a localised area. 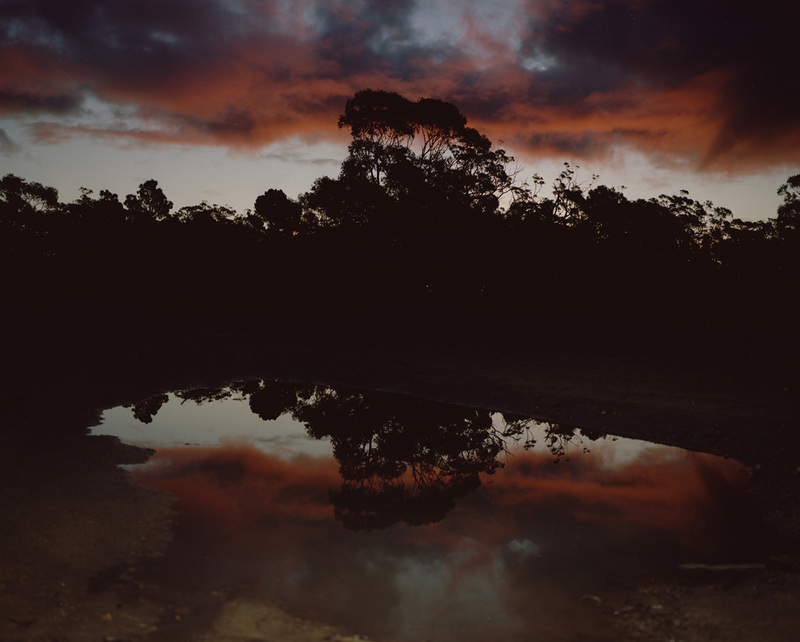 There is a quietness to them and subtlety that is often lost in a lot of Australian contemporary photography. It is really important that we are reminded of these events and to re-spark our memory of past wrongs in our local surrounds. 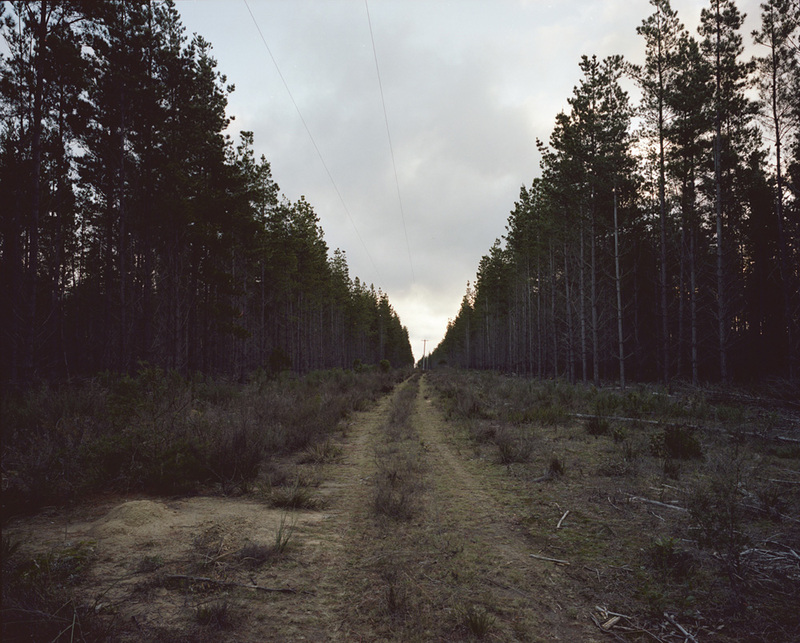 American photographers Joel Sternfeld’s On This Site and Taryn Simon’s American Index of the Hidden and Unfamiliar are a couple of great examples of a similar approach, and it great that there is photography being made in a similar direction in Australia. TC: With recent Australian movies like Animal Kingdom and Snowtown in mind, what do you feel feeds Australia’s obsession with crime and murder? WB: Since day one of colonisation in Australia, there has been crime and bloodshed – from convicts to massacres of Indigenous Australians. It’s embedded in the Australian psyche. So maybe that’s a contributing factor to Australian films exploring violence and the darker side. TC: Where to, post-Australian Badlands? WB: Post-Badlands I will no doubt be struggling financially, so I will go back to photographing commercial jobs to fund what I would rather be doing. I have a few loose project ideas in my head. I am always taking photos so whatever is sparked, I want it to progress slowly and naturally and hopefully more tame than this Badlands monster is turning out to be.